Irrespective of whether you require chimney repairs, Velux roof windows, or you're having a new extension on your home, we're confident that we have the skills to undertake your roofing job. 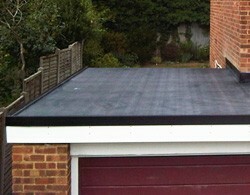 Why not let us give you a free estimate, whatever roofing work you may require? We'll visit you to take a look at your roof, determine what needs doing and then offer you an affordable price. Once you're satisfied, we get a team of skilled roofers on the task. For honest, well-performing roofers across the Oadby, Knighton and Aylestone area, simply contact us on 0116 316 9544. If you choose us, you'll always get the best levels of service – from ensuring we use the very best materials available, through to being respectful and pleasant – we let others do second best. Call us now and we'll explain to you why we're the ideal roofing contractor for your home.